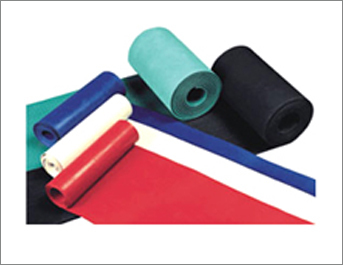 ➤ We manufacture a wide range of Rubber Sheets made from a variety of rubber grades like Natural, Silicon, EPDM, Nitrile, Butyl, Chloroprene and others. These sheets are available with or without canvas/nylon insertions. 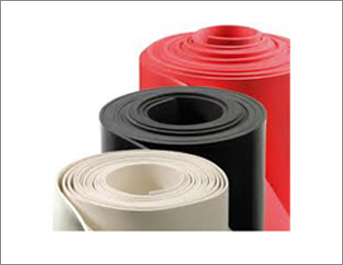 Depending upon the requirement of our customer, we manufacture the sheets in various sizes & thickness with both smooth and textured finishes. 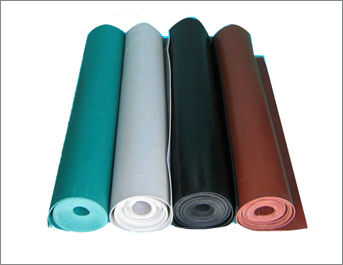 Temperature resistance, electrical resistance, abrasion resistance, steam and other jointing gaskets and packing material, food grade sheets, hospital sheets, flame retardant sheets, insertion sheets, etc.